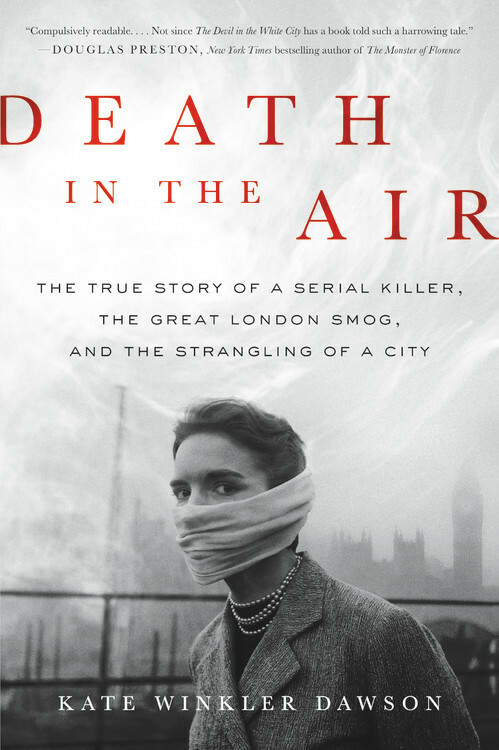 Death in the Air – The True Story of a Serial Killer, the Great London Smog, and the Strangling of a City. In winter 1952, London automobiles and thousands of coal-burning hearths belched particulate matter into the air. But the smog that descended on December 5th of 1952 was different; it was a type that held the city hostage for five long days. Mass transit ground to a halt, criminals roamed the streets, and 12,000 people died. That same month, there was another killer at large in London: John Reginald Christie, who murdered at least six women. In a braided narrative that draws on extensive interviews, never-before-published material, and archival research, Dawson captivatingly recounts the intersecting stories of the these two killers and their longstanding impact on modern history.